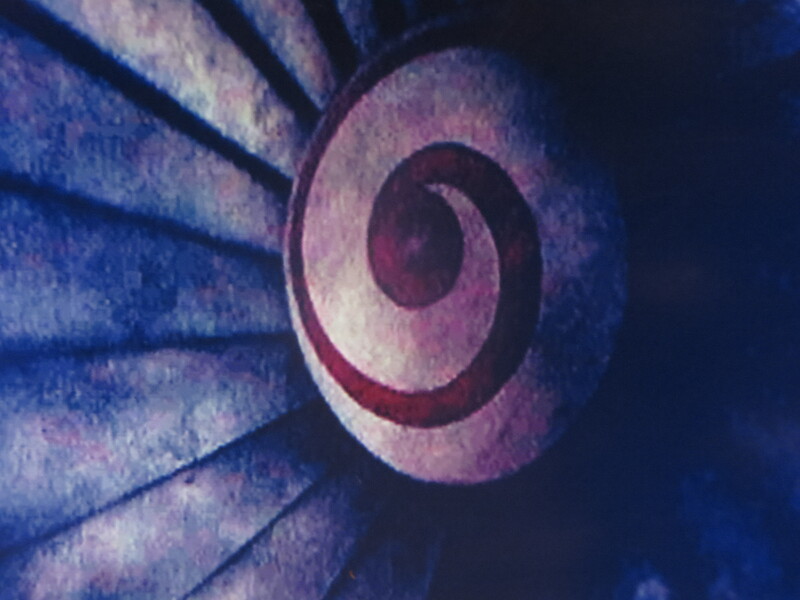 The wormhole symbol on the jet engine in time travel flick Donnie Darko. Reductive materialism and it’s sister belief system Atheism are, from a scientific point of view completely dead. I must emphasise that the right to whatever set of spiritual beliefs (or lack thereof) is a sacred right of every human. The intent of this piece is to state a rather obvious scientific fact not to change anyone’s mind or convert them to any specific set of spiritual beliefs (or lack thereof). Nothing is more tiresome and irksome. and it is of course, the major action of the Atheist in the world. The lack of content of their faith somehow convinces them that their prosletysation is not proseltysation. The Western Orthodox Belief System. Atheism is essentially the overwhelming western orthodox belief of this era.and I was in fact rather a staunch atheist myself. I tried to be respectful but in private often railed against the “silly ” people with their “sky god fairy-tales.” Pretty standard stuff really, the funny thing, the funniest thing is that all throughout this time, decades of life.I was both completely ignorant of the fact that my beliefs themselves were the product of cultural indoctrination of a rather crude variety.. At that stage I also believed that all religious beliefs were the result of indoctrination and that having avoided that my atheism was the natural and correct human response to life on earth. Eventually I realised that Atheism, was rather flawed in its confident claim to know that there is no god. It occurred to me that it would be almost impossible to prove or know that there is no god. The point about the death of Atheism is not that the existence of god has been proven, the point is that the existence of non-material interactions of many kinds has been proven. The existence of the world beyond the visible physical material world has been proven in dozens if not thousands of ways. The neat example that Rupert Sheldrake uses in the speech below is simply the precognition of being watched that all humans have experienced and that many experience daily. You are walking down the street, lost in thought and suddenly realise that someone is watching you, someone is directly looking at you and you felt the force of their consciousness upon you, Sheldrake explains that this precognition, this rather mundane but very real psychic power has been tested in the laboratory and substantiated. Although atheism remains a very respectable and widespread belief system, the truth is that the claims of atheism were scientifically disproven by 1925. The very idea that humans know exactly what is going on here or why it is happening seems to be largely hubris and delusion. The underlying assumptions of materialism are very helpful tools and rules for managing and understanding life on this plane, the folly is to think that we know that this is all there is and that all matter is essentially mechanical. These are simply religious assumptions of the atheist, they deserve the same respect as any other set of spiritual beliefs, but they do not have any legitimacy from a scientific point of view. 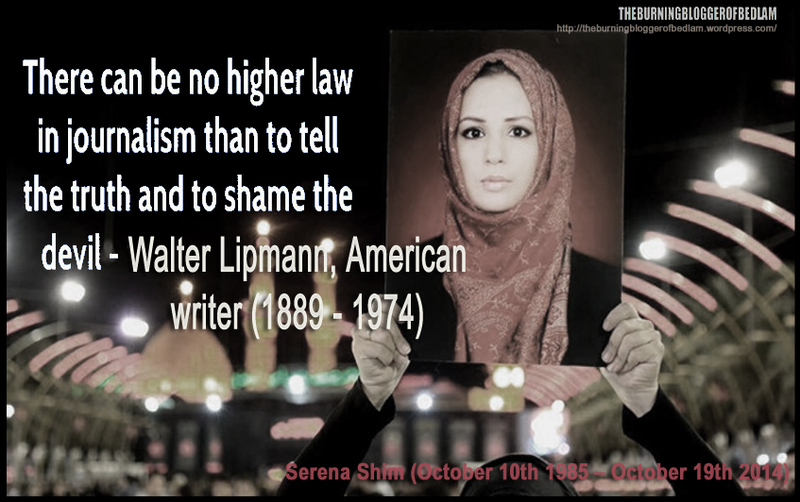 Atheism lives in the hearts and minds of men and women around the world and that is their right. Reductive materialism as an explanation of reality is on the other hand completely dead and atheism is in my opinion little more than a set of religious beliefs founded upon the incorrect and arrogant assumptions of reductive materialism. It is funny that all the canards that atheists toss at religious people about primitivism, backwardness, simple mindedness and belief in fairy tales can all be aimed fairly and squarely upon the atheist, it is just the truth, as upsetting as it may be to certain people’s core beliefs. The Sheldrake video is completely brilliant, this is also,interesting.but not something I would offer a ringing endorsement. The Unknowns go in all sorts of directions, such as anti-gravity. There is no supernatural element here but the deeper point is that the human understanding of and mastery over the mechanics and content of matter and reality, are in some ways only in their infancy, To ever think for a second that we have reached the end of the road as far as understanding lie and the nature of matter and reality is surely the most foolish possible type of belief. The Hunt for Zero Point. Thank you James. Atheism is dead may be an over statement, but I appreciate the sentiment. Most I know would claim to be atheists and in reality are materialists and yet, and yet… I love your open honest personal (and personable) style. Keep it up. Much love to you. Thanks for that extremely kind comment. New Atheism (NA) reminds me of New Calvinism. Both a departure from their historical picture and controversial with outside critics, as well as many of their respective fellow-wider-believers. Both have influence and have a had a recent period prominence. I say recent, because the backlash has come and people have had their say, arguments ensued, conclusions and positions drawn. With time, wider interest has waned, particularly amongst believers who hold to the old version. The ‘new’ has won what converts they might, and their hopes of a revival of this new thinking isn’t happening. At least not on a popular or obvious level. John Grey has persuasively argued adherents and spoke-persons of this religion of New Atheism have not properly deconstructed, understood and accepted their roots or history. There’s also concern regarding its influence in society and with geo-political movers and shakers. His recent article in The Guardian is titled, ‘What scares the new atheists’. A follow-on counter/questioning piece is called, ‘New atheists are not scared, but they are angry’. So what’s growing and what’s dying? Is A’s death/decline, on overstatement? asks Covenant Woman (above) who “…got a contract with the Lord”. Who knows this song? The question about NA, and not CA, is more difficult to assess. CA tend to turn up to a building, (usually this day of the week) – this relatively reveling. With NA people’s private thinking might indicate something through polling and research, otherwise academia’s changing positions or resistance to these theories is mappable and somewhat of an indication. I reacted after initial years in evangelical church to public proclamations of inevitable and spectacular – church – growth. Failing to materialise after some heady decades through bursts of new believers in distinct parts and pockets worldwide, I questioned the contemporary growth of any religion, NA included. (This doesn’t mean I don’t believe in a revival of, and with, Jesus but conditions are stated and must be met first). In my more post-evangelical progression, I’d react to talk of declining atheism and the general resurgence of believers in the non-material. I don’t see it (at this point), like organised physical political alliances and activism, all show a weary ambivalence toward getting together and manifest action. Therefore, the question that confounds and ought to be considered is; what are the varieties of strength, cost and consequences of ‘believing’ something? Easy and light or persecution? With openness or hard-core? Life defining or not public? And what about Globalist Inc, how do they use, manipulate, promote or discourage these beliefs? They will/do confound using their well-worn Hegelian dialectic (‘problem, solution, reaction’ – helpfully reinterpreted by David Icke). Otherwise it’s sheer, raw unabashed propaganda and media-based mind control. A classic example in these times; bash gay people, use it to clampdown to kill free-speech through those who dare call it ‘wrong’, chemically and propaganda-wise towards more embarking on homosexually and/or adopting this (orientation aside). Can’t we see, they hate gay people and they absolutely hate, any living, breathing, fiery but wise Church. If we get some accuracy about the particular version of their Luciferian religion, (we need a word from God on this), we’ll find NC (believer’s sincerity and Jesus-likeness aside) was fundamental in making and managing Zionism. It’s also, (more was), a driver (albeit documented as insincere) for the neo-con bosses. With NA (or A), the loss of any distinction between us and ‘other’ animals, is one obvious and ideal justification for the cull. It would seem their deeply ritualistic and attempted (believed) interaction with forces all-powerful, would mean they are not A in some senses. Their few thousand gofers and operatives who are not necessarily in their secret (society) and ways, might be. Promoting atheism must be one of their central base-lines for the underlings who are promised, (being lied too of course) an escape into the new humanity’s land of safety, and/or bunkers, while the masses prematurely die. It serves them well in their efforts for us to acclimatise, accept, and acquise towards being killed off. This is the(ir) ‘reality’ we have bought into: that it matters not. They know what sheep are for. Mark, you have again produced a far better piece of writing than what I wrote. I will respond properly later. Many thanks. Thanks James, what a review. Better piece ? ain’t (or ever-a-writer? I’ve re-read below, so confidently, no way soon). My comment was (…is – at best be prophetic) a freestyle splurge, a plea for some thinking and typing from you and all, on some pointers to potentially necessary ground to cover and re-cover. Here’s my cry. I pray for some more Aang’s and Tap’s, two of a few, who persistently offer open inquiry into atheism and the like. Calvinism (accounting for the New C’s reluctance to acknowledge) is, The theological question (and should be) debate in the Church (hidden under an onslaught of NC attacks upon those who finally challenge their holy grail, alongside their difficulty in holding with them in the wider-fellowship (of the saints). To them, alternatives are heresy and must only be refuted, not given room to be possible (for outsiders to consider). They maintain; The Bible said it, Reformers had it and now NC march on, those who ‘hold on to the truth once delivered…’ (a fave quote). C’s disbeliever’s are growing like rabbits (far from discounters of all that C stands for), are of the opposite view, the open lot. Open in, that God is. And the future – which for me and mine – is Biblically obvious. Yet I cast no stones at my sis and bro C-ers, their conduct, love for Christ and – in living better than their theology do – (and so importantly have done) – all kinds of wondrous Kingdom works. My only comment to them would be, that more often than not, the atmosphere, tone… in public discourse/the web, smacks of similarities to NA. At least in leaving it to the few blessed-awake ones, who we must respect (tough at times) by bothering and caring to ‘go into all this world’. Quiet irritation, unwittingly or not is the downside, “we know the answer” – (yes, accepted and acceptable so far) but, why the underlying, “we… I… don’t know if there’s a question, or a reason to bother?”. This isn’t acceptable – not Jesus-At-All. Yes, there are ‘waste ya’time controversies’ but not the longest and deepest question since the Early Church Fathers (them, before Augustine, until the early church and the Apostles). It’s not on, least of all, (although NC would/can disagree), because it’s not, never has been, a question of ‘orthodoxy’ in the primary (unity) of doctrine – it’s a secondary issue. Open, at least within a thirdly agreed perimeter that’s defined by well-established theological grounds that this overall position, with debate, is held as a consensus, amongst those who have written or spoken and considered having integrity and respect. On this one, (on-an-aside), I’d like to announce, with – at least my – pleasure, that over this past year or so, (after a couple of decades on the door-step), the Evangelical umbrella and definition, includes those, open to ‘Gays-are-in-believers’ in Evangelicalism. Most, grudgingly, a minority trying to start a New CofE (guess who?). But there’s no debate about this. The inner-scene mags allow the question and state the fix, their radio etc, they all know, battle over. Ground ceded. Those who believe this non-traditional line is a ‘primary issue’? (guess who?) and so, it’s not about ‘I’m gay, I’m ok’ now, or ‘gay-ok with God now’ (in the just about main), but the theological and pastoral imperative to stand, (some pushing), for full inclusion in what now is re-defined through this as being ‘evangelical’. (Please understand, the shift came – could only come – because of the recognition, (with tears for some, anger for others), that an ‘open-gay position’ was and is a secondary issue, a losing battle to overturn in the – keep the boat afloat – controlling middle, where there was no mind or time to succeed in an agreement that this was/is a primary – evangelical – tenant. Open and accepting evangelicals were too big a growing minority to shut the door and not lead to a completed collapse of the Anglican union. Continuing to share and own their ‘evangelical’ alliance (the in out of their orthodoxy – for those in) matters for many, some greatly. For different reasons, and from the different camps, comes their need to redeem what association with ‘evangelical’ means outside of the primaries, carrying as it does – precious only streams at times – the(ir) pilgrim church history with the emerging distinctions and definitions that is understood as Christ’s kind of church, held, remarkably so, relative in common. Boy I’ve rattled on here. Why? (assuming you could understand m’jingo): Hearing what might discourage the agnostic’s desire to share with ‘us’ and not be bashed (as the name goes) is the ache and burden of every believer, not lost in baggage from traditions and an isolating culture. Plus you have to have some fire, otherwise why care? This why. Paradoxically, Christians in the main, I thankfully Praise God, on average, fair better than many other basher’s, in isms far and wide. It’s something to do with having been bashed back so much, (experience in being ‘wrong’ in most people’s eyes) and for so long. And a humility that comes from unfulfilled decades of expectation, that more, many more, by now, would have become disciples of Jesus. It too much sometimes reading my family (diabolical (we should be sad and angry) when moderators allow), this again and again, (same old repetition), coming across as, “here’s what”- so what’s the point of saying anymore? The better half of the ‘God or not’ spectrum and Church are more comfortable with understandable differences and awareness of individual subjectivity, considering ongoing investigation, far from a waste of time, because the conclusions are a given. (Paul, Mars Hill, Athens and Jesus, our triune God, the example of such manners). NA-ers and NC-ers might want to get in, or get behind asking and explaining A n C’s influence, appropriated by the enemy – but if God ain’t, and that that. Does this dissuade? As for NC, “the KJV was good enough for Paul, so it’s good enough for me” (jus crackin one). No, C is about (open take): the foundational, over-reaction and misunderstanding of Augustine (bet some reading are going, “it’s all Greek to me”). On A, or C’s side, the cause and promotion end, could there be some reluctance in unearthing the/se question/s because, for what purpose does it serve (them/their truth) – their version of God or not? This is the question. (Or the heart of the matter -Jesus. Jesus the question, rather than the ‘answer’). Keith Ward is not only an exceptional writer in his field but someone who knows, ethically and professionally, his own opinion in some arguments have a place but overall he’s here to balance traditions, arm up with reason and believe God wants wisdom, honesty and love in ways of conversing: all about that book, them books, letters ‘n all. Not them, this signpost to God. Thanks Mark I will respond properly promptly. I am very glad this piece did not offend. Gotta be I think. The ones I’m most aiming for should be looking at this and back. Promotion has a place. Many thanks as always Mark. Many thanks Mark, both for that and all your other acts of kindness. The belief that Satan is holding up the world on his shoulders like Atlas is dead. TAKE THAT CHRISTIANS! HA HA HA! I made some kind of point! You claim to have made some kind of point. I missed it.